Waiting in line at the airport and going through security checks – which seem to be getting stricter by the day – is highly time consuming, and can be very frustrating for travelers looking to catch a train or in a hurry to get to their final destination after a long trip. The same is true for passengers departing: the compulsory checks and security controls before departure can become very stressful when time is short. In order to expedite the departure and arrival process, the US government offers two alternatives: TSA PreCheck and Global Entry. The two systems work in similar ways, and both entail expedite screening at the airport, allowing travelers to avoid queues and to go through security checks without having to remove liquids, laptops and similar objects from the bag. Despite a number of similarities, there are few differences between the two services: Global Entry is slightly more expensive but allows expedite screening for passengers entering the US after international flights, while TSA PreCheck is slightly cheaper, but mainly applies to domestic flights. Global Entry is an individual service that does not extend to other members of the family. Anyone under the age of 18 needs parental or legal guardian consent to apply and participate. Individuals with criminal records or those who have provided inaccurate or incomplete information are likely to be denied access to the benefits offered by TSA PreCheck. TSA PreCheck service can be found in over 180 airports across the United States, and nineteen airlines cooperate with the program. Those airlines include, in alphabetical order, Aeromexico, Air Canada, Alaska Airlines, Allegiant Air, American Airlines, Cape Air, Delta Air Lines, Etihad Airways, Frontier Airlines, Hawaiian Airlines, JetBlue Airways, Lufthansa, OneJet, Seaborne Airlines, Southwest Airlines, Sun Country Airlines, United Airlines, Virgin America, and WestJet. Both allow the traveler to go through security checks more quickly, in most cases without having to remove belt, shoes, liquids and laptops. International vs Domestic: Global Entry is the best option for individuals frequently traveling in and out the United States as it expedites the screening process entering the country after an international flight. 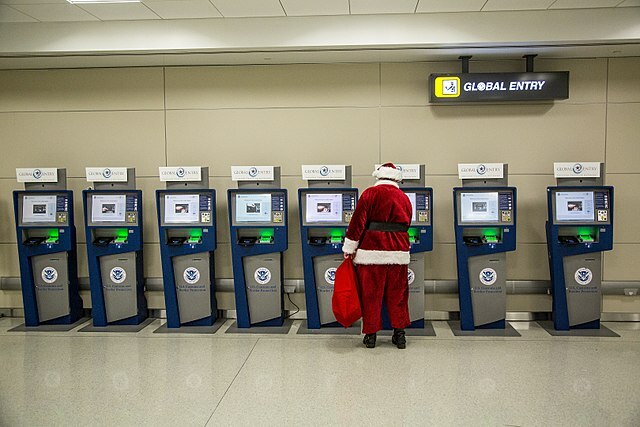 Global Entry service is available in about 60 airports worldwide and allows travelers to use a kiosk (with the Trusted Traveler Number and fingerprint scan) to avoid the queue at customs and immigration. Conversely, TSA PreCheck is especially useful in domestic flights within the United States and in flights leaving the country, while almost never applies to international flights entering the US. Aside from costs and type of flights to which the services apply, there are few other key aspects that differentiate Global Entry and TSA PreCheck. Global Entry and TSA PreCheck are two systems promoted by the US Customs and Border Protection (CBP) and by the US government, respectively, to expedite the screening process at the airport, reducing queue lines for passengers traveling within or outside the United States. In order to obtain either one of the two, applicants must submit an online application and schedule an appointment with the relevant authorities. Interviews include background checks and fingerprinting, and the service is denied to those submitting incomplete or false information or to those with criminal records. Both services are valid for 5 years and can be renewed. Global Entry costs $100 while TSA PreCheck $85. Global Entry is particularly useful to travelers entering the United States as it allows them to avoid customs and immigration by using one of the designated kiosks – available in around 60 airports – where they will have to input their Trusted Traveler Number and scan their fingerprint. Conversely, TSA PreCheck is mainly used in domestic flights and helps expedite the screening process when leaving the United States. 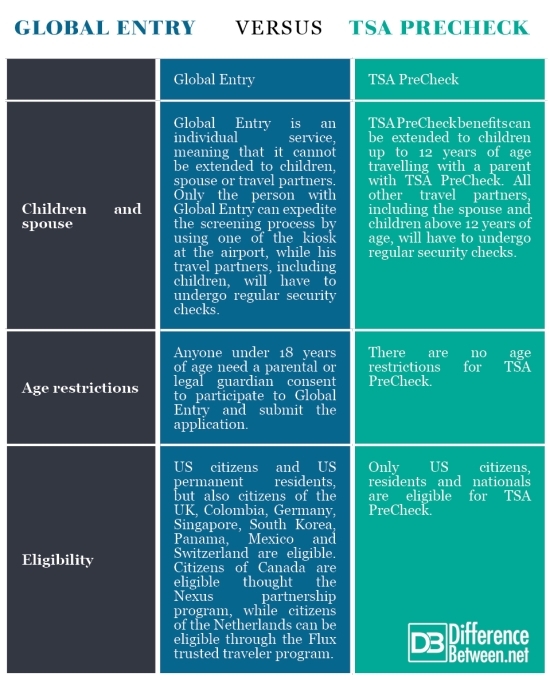 Global Entry is purely individual and cannot be extended to relatives, travel partners and children, while TSA PreCheck can be extended to children under 12 years of age. 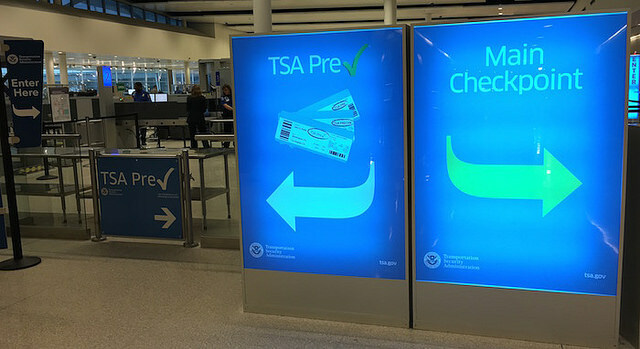 The two systems tend to overlap in some cases, with some of the benefits of TSA PreCheck applying also to Global Entry members, but there are some key differences between the two that need to be considered by travelers who want to make an informed decision. Giulia Squadrin. "Difference Between Global Entry and TSA PreCheck." DifferenceBetween.net. August 9, 2018 < http://www.differencebetween.net/miscellaneous/difference-between-global-entry-and-tsa-precheck/ >. Kosner, L. J. "Global Entry vs. TSA PreCheck: Which Is Worth It." Retrieved on May 23 (2013): 2014. Rosenzweig, Paul. "Whither privacy?." Surveillance & Society10.3/4 (2012): 344. Stewart, Mark G., and John Mueller. "Risk and economic assessment of expedited passenger screening and TSA PreCheck." Journal of transportation security 10.1-2 (2017): 1-22.